Hello my amazing, loyal blog readers! I have to start off by apologizing for not updating here in a very, very long time. I have no excuses other than healthy diet (no fun) and sheer laziness. Don't get me wrong, I still have mac and cheese here and there, but it's been a little less lately, so I tend to stick to my favorite places so I don't have a lot of new material to write about. Until my next real post, however, I have some interesting things for you to check out. First, I went down to LA for a work event and found this really awesome sculpture made of nothing but Kraft Mac & Cheese boxes. Of course I had to snap a photo! By the way, the "Shapes" box is truly the best. My other fun update for you is something that I am NOT going to recommend. Not because I haven't tried it, but because it just sounds way too ridiculous to ever actually try. 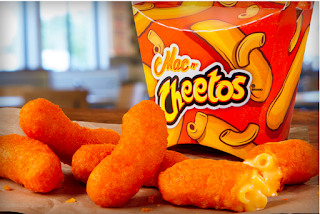 I read a Verge article stating that Burger King now has a limited release of an item they are calling Mac & Cheetos. Supposedly it's mac and cheese, fried with a Cheeto cheese powder coating on the outside. Okay, guys. 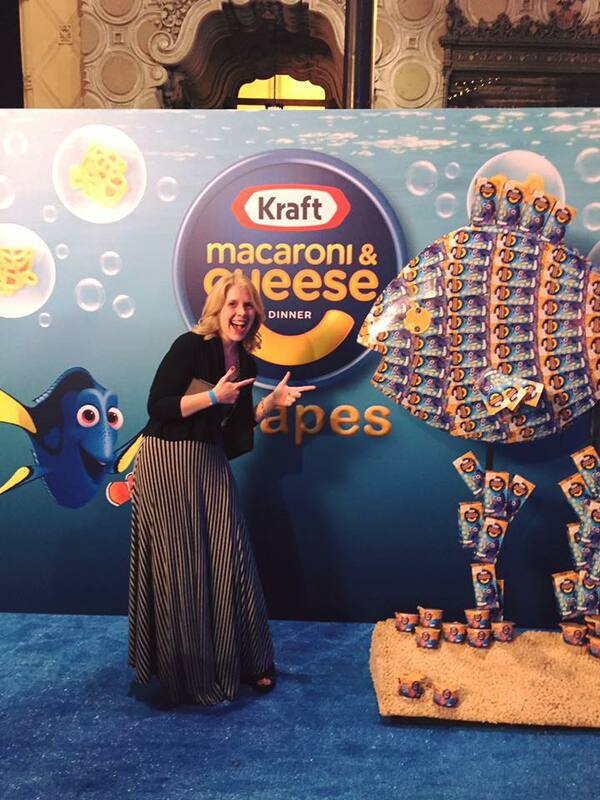 This mac and cheese experimental craze is getting a little out of hand when you start getting this ridiculous. I thought I'd seen it all when I was passed along a link to a place that makes mac and cheese hamburger buns. That's right, mac and cheese hamburger buns. That's just crazy. But maybe still not as crazy as the mac and cheese pancakes I actually tried to make some months ago. Boy, was that a disaster.